Datapalooza: A Concept, A Conference And A Movement : Shots - Health News Entrepreneurs, investors and data geeks descended on Washington, D.C., in pursuit of better ways to make health information useful for consumers. They urged bureaucrats to set the health data free. Jonathan Bush, co-founder, athenahealth, at Health Datapalooza IV, where he urged the government to release more data on health care quality and costs. If you're having trouble picturing a health "datapalooza," think 2,000-plus data geeks, entrepreneurs, industry bigwigs and bureaucrats stuffed into hotel conference rooms with lots of coffee and PowerPoints. Early this week the fourth annual Health Datapalooza conference descended on Washington, D.C., including a contest over the course of the two-day meeting to come up with the best health app on the spot. The government was there because it has lots of information about costs and quality of health care. Techies say health care could be revolutionized if entrepreneurs could take the data and "liberate it," in Datapalooza-speak, from spreadsheets and databases, so it could be poured into apps and computer programs that anybody could use. 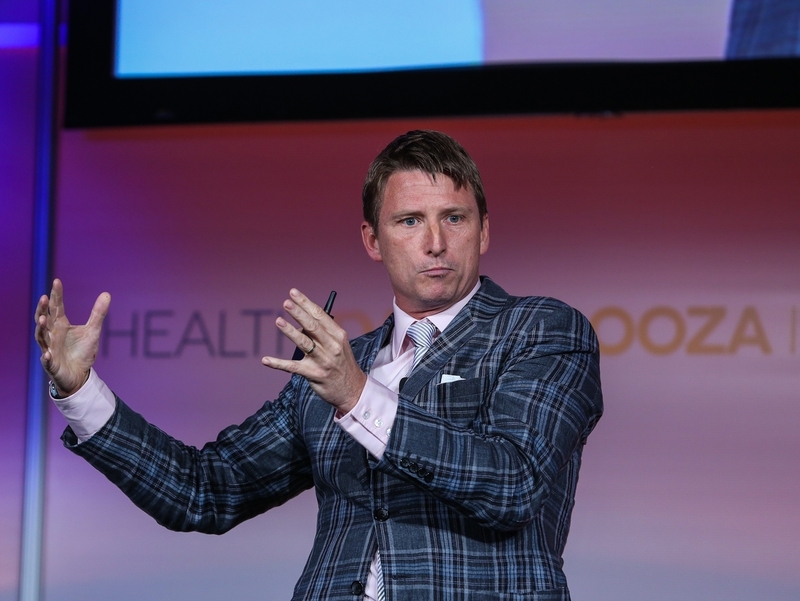 Jonathan Bush, CEO of athenahealth, for one, is beside himself with excitement. "Data scientist may be the sexiest career in the 21st-century!" he exclaimed during his keynote speech on Monday. He paced the stage and explained how he sees forces aligning in a way that make data — and the ability to make it useful for decision-making — the most important forces in health care. That's in large part because the federal Affordable Care Act is full of financial incentives for groups of doctors, hospitals and other providers of care that can prove they're more efficient, higher in quality or cost less than competitors. "The data's there, the technology's there, the entrepreneurs are there," Bush said in an interview. "They are watching the cost of health care go up, and they are seeing how people feel about the product, despite its cost, and they're saying, something's going to pop. So that is exciting. There is, in fact, this pregnant moment." Mike Galbo, co-founder of Aidin, a company that matches patients with rehab facilities after a hospital stay. New companies are already being born, like the one 28-year-old Mike Galbo started in January after his grandmother had a bad experience in a rehabilitation hospital. Caregivers messed up the medications. "She was hallucinating for a week," he said. "She was overmedicated, and it was a really traumatic experience for my grandfather and my family." Galbo is a professional data analyst, and recognized that his grandmother's problem boiled down to a lack of good information when it was time to choose where she should go for care after a hospital stay. The hospital she was leaving was no help. "She was given a list of facilities in her area, with only phone numbers and addresses to help her choose," he said. "Unfortunately, she didn't make the best choice." Galbo was frustrated. He could use the phone in his pocket to look up reviews of almost any other kind of business and how much it would cost, but there was virtually no reliable information on hospitals. 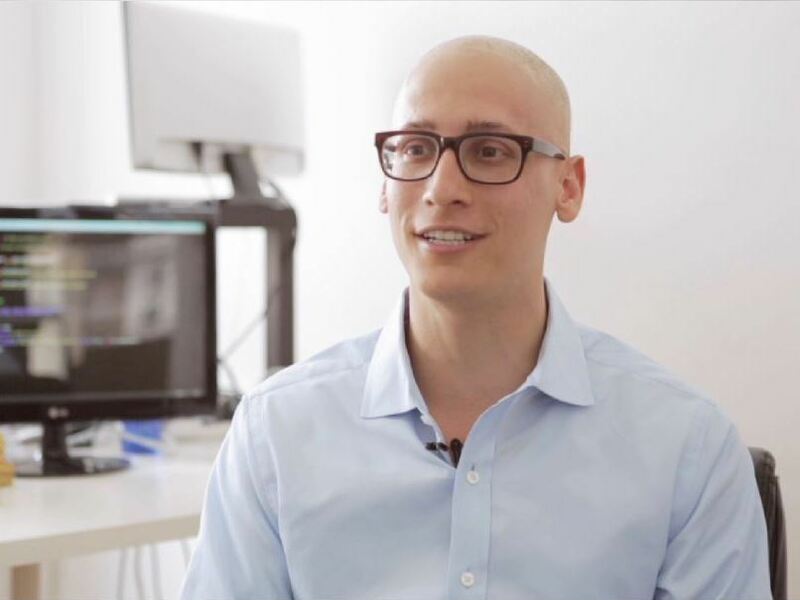 So, despite having no previous experience in the health care business, Galbo and a friend launched Aidin, a company that takes government data on the quality of health facilities and recent patient reviews, and puts it at people's fingertips. Four hospital systems are going to start using it this summer. It's exactly the kind of outsider innovation that the federal government's chief technology officer for health Bryan Sivak wants to see more of. He said too many people in health care are intimidated because they know the system is so complex. "But, if you look at the circle of people out there that can do interesting things with data, that's a much, much larger circle, and so that's really who we want to talk to," he said. Leaders in the health data field say that if Sivak really wants to draw in more creative entrepreneurs, his agency, the US Department of Health and Human Services, needs to make more of its data on health care prices and quality publicly available. In May the government released data on how much hospitals across the country charge for a hundred of the most common health care procedures. At Datapalooza this week it released information on 30 more. Industry's reaction was, thanks, but it's only small fraction of what we want and need. This story is part of a partnership with NPR, Colorado Public Radio, and Kaiser Health News.